The Teledyne DALSA Piranha4 Color is a highly sensitive colour line scan camera, offering various sensor configurations from two to four lines, focusing on different imaging applications. Depending on the particular application, the user can choose between the 2k version with 14 µm pixel size with three or four lines, the 4k version with 10 µm pixel size and three lines as well as two 8k models with 7 µm pixels dual lines or 7.5 µm with three lines. Teledyne DALSA CMOS image sensors' high dynamic range, combined with on-chip ADC for high speed, gives the Piranha4 cameras unprecedented performance. 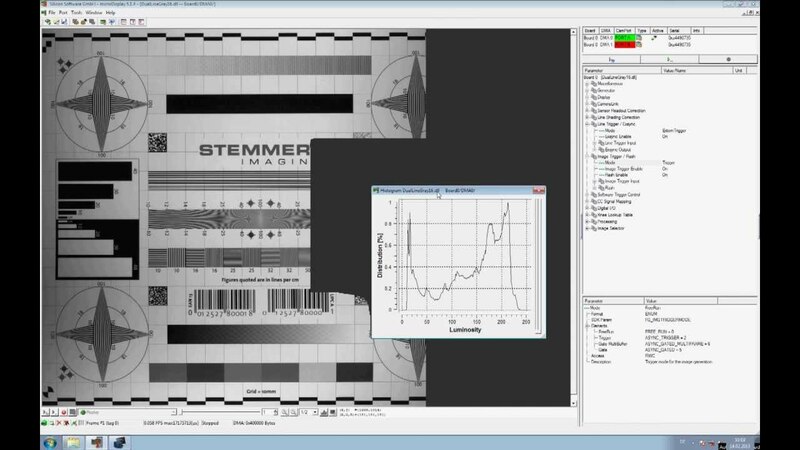 Precise sensor alignment simplifies multiple camera calibration at the system level. In addition to its high speed with up to 70 kHz, the Piranha4 Color also features advanced capabilities such as spatial correction on a subpixel level, lens and shading correction, as well as flat field correction. 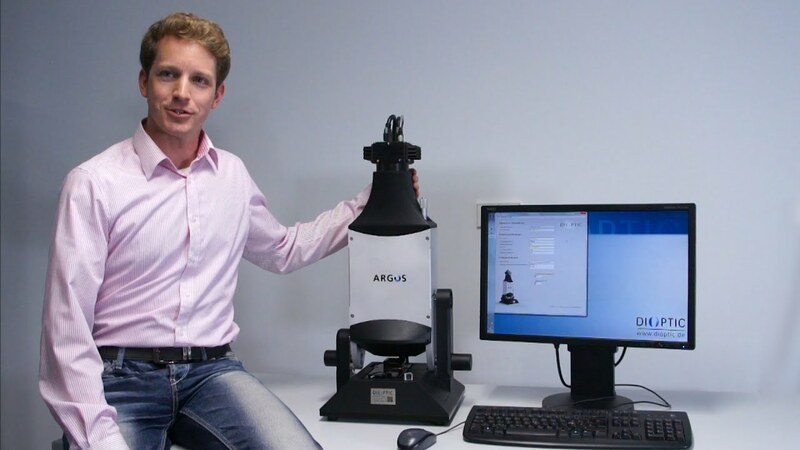 Dioptic's Argos system reliably identifies even smallest defects and scratches on transparent surfaces like optical lenses and flats with a high resolution line scan camera. 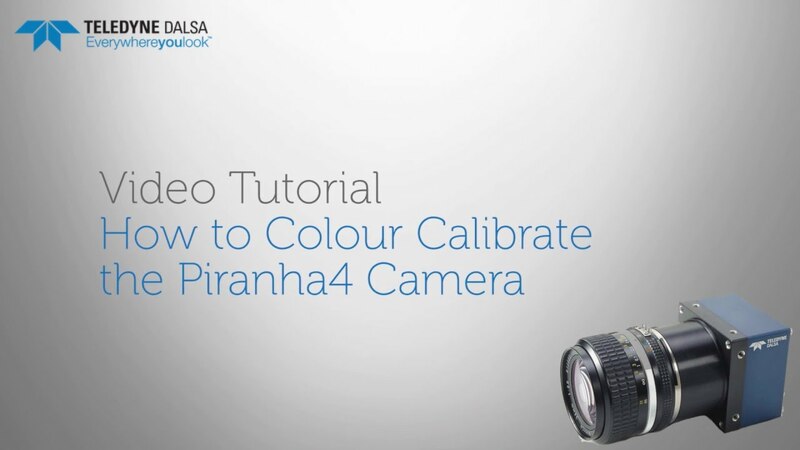 The Piranha4 Color's quadlinear CMOS sensor provides multispectral capability by capturing three native colours (red, green, blue) and a separate NIR channel. The minimal spatial separation offers the a maximum in colour accuracy with a frequency of 70 kHz. The unique feature of an additional NIR sensitive line allows for simultaneous feature detection in the visible and the NIR spectrum. Systems can be designed with a single camera instead of two dedicated sensors. Moreover, the whole sensor with all 4 lines (red, green, blue, NIR) requires only a single IR-corrected lens, which gives an excellent price performance ratio while maintaining a wide selection of lensing options. The multi AOI feature allows the creation of up to 4 AOIs. This can be useful when inspecting several separated lanes of objects with a single camera, just by ignoring the image area between these lanes. Acquiring only the relevant image content means a reduction of data to process. This relieves the actual image processing stage and gives room for either faster computation or allows for less powerful hardware systems. 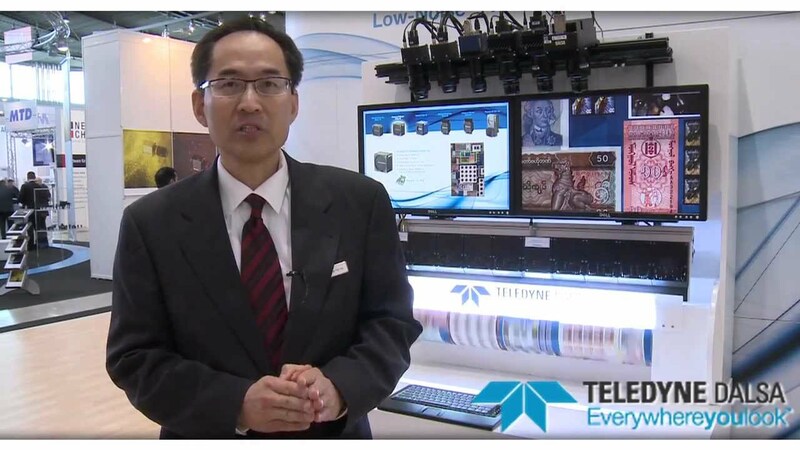 Transferring less data also offers the possibility to use more economic cabling configurations. Flat field correction (FFC) can be used to correct high intensity variations caused by either illumination or lensing. The Piranha4 Color provides up to 4 regions within the pixel line to be specified for flat field correction. A well calibrated image improves and simplify the image processing. It requires less complex image processing and therefore saves development time. Depending on the application, there is a choice between the 2k version with 14 µm pixel size (three or four lines), the 4k version with 10 µm pixel size (three lines) and the 8k model with 7 µm pixels (dual line). Since the Piranha4 Color series is a family with different resolutions and different spectral sensitivity, there is a large selection of models that can be chosen according to the requirements of the application. This flexibility provides the opportunity to rely on the Piranha4 Color platform even in the case of changing tasks. Using a proven, well known system as a basis offers time savings on new development and integration tasks. avec 4 vis fixation face avant.